The hard drive gets all messed up, it gets all crashed and the Windows takes no heed to boot the system. What will you do ? We have no other option but to change the whole drive itself, losing all our data; images, videos, personal documents and many more. We heard the famous phrase, “Prevention is better than cure”. So why not take the prevention measures, (here precautions) before the crisis strikes. By making the backup of the different drives, we can create a plan B for any such situations. 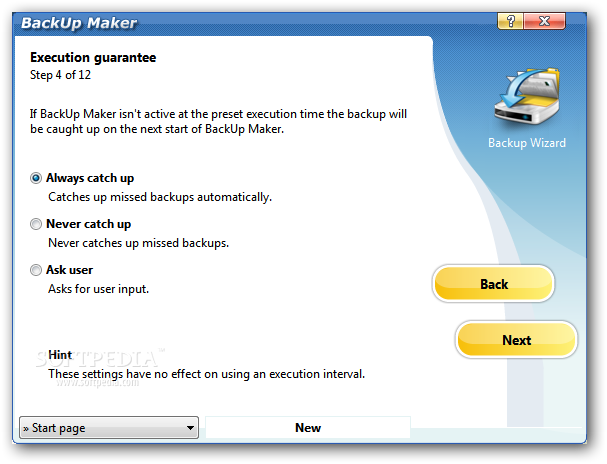 For such a backup plan we have a very smart freeware called the BackUp Maker. 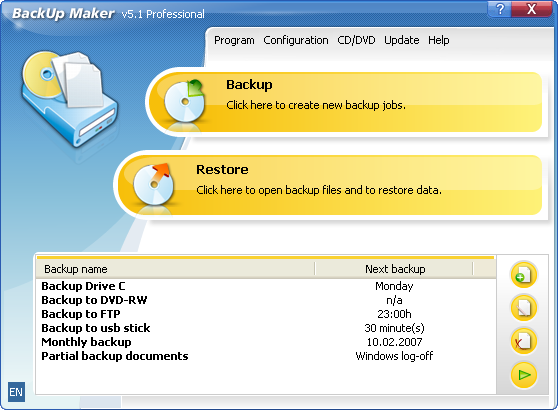 The BackUp Maker lets you make a compliance and easily traceable back up of all the data stored in the drives you have in your PC. 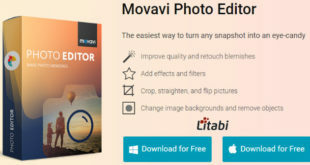 We have had a lot of smart wares in the market just apt for this work, but the BackUp Maker has certainly some features that put it into the creamy layer among such alternatives. 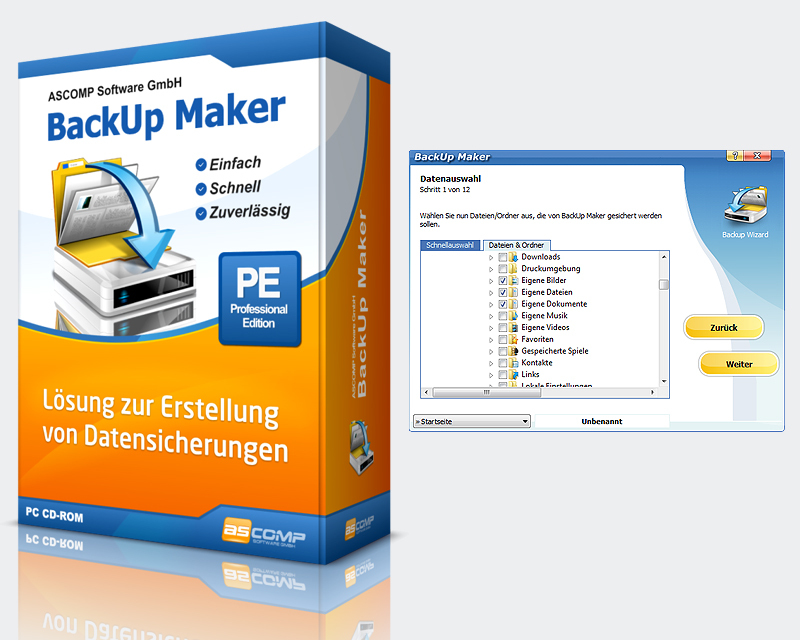 The freeware is the best backup utility application. It not only helps you provide the backup options but it also automatically stores your data, informs you about the scheduled backups and storage information. You can easily transfer your data to an external hard drive, CD/DVD etc. in simple Zip Formats that can be created easily using this utility kit. ASCOMP developed this software, realizing the need of a smart free ware that could provide all the necessary and useful features as well as the options. The user’s data is one of the most sensitive things for such a software, so to keep that intact what the BackUp Maker provides is the best and highly secured encryption of about 256 bits (AES). It also enables the user to transfer all the backups to a web server through an FTP/FTPS upload. 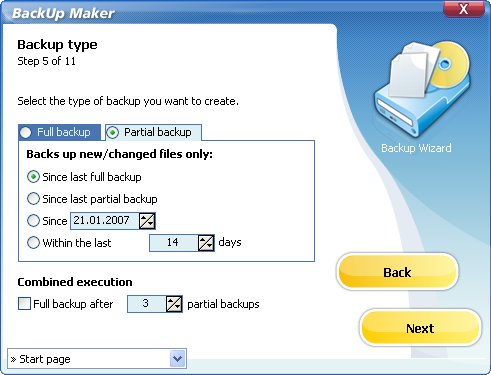 Task Scheduling is one of the best feature that can be seen in this backup manager. The tasks get the criteria decided easily and hence are made to perform according to the scheduled plans made by the user. Moreover, the restoring option is way better and like a child’s play. Pick the folder to be worked upon, drag and drop, and further chose the destination where it is to be put upon, and you are done. 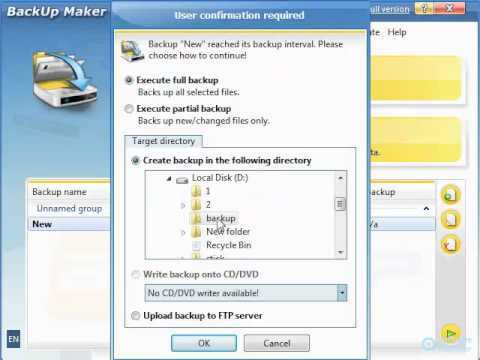 The BackUp Manager enables you to make the partial backup plans too, thus giving you the ultimate power to create the folders and backup plans as you wish. Note: But the option often becomes a havoc because it keeps the restoring option of the partial backup disabled until and unless you create a full backup. Overall, we can say that the freeware is a plus on for your PC because of the ease to use, the user friendliness, the features and options. And the most star points about the software is that of the scheduling option that have been provided in it, thus it gets the top most position in our list. We recommend BackUp if you have plans to create backups from your drives.